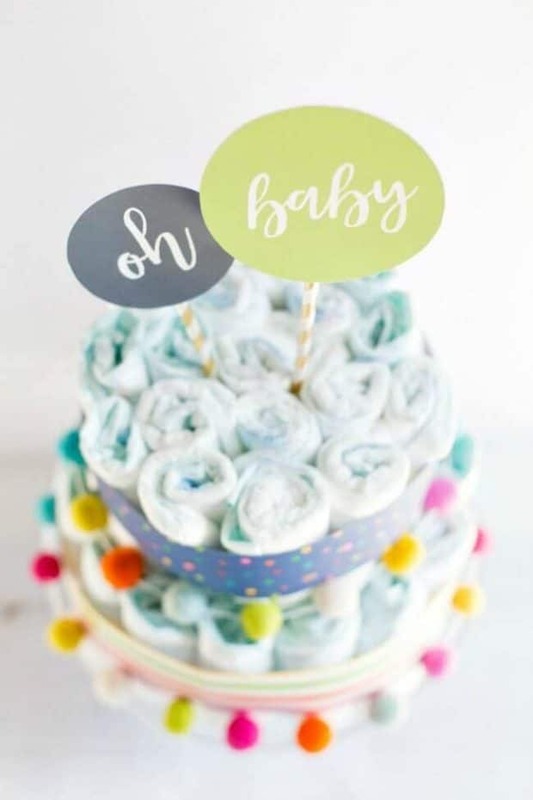 An easy diaper cake makes an excellent baby shower gift. 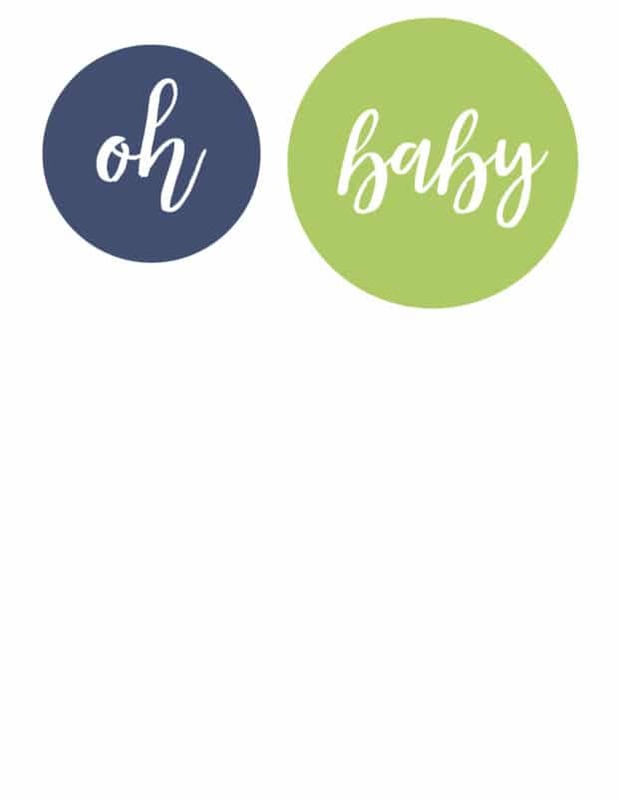 Want to give a welcomed baby shower gift? You can’t go wrong with diapers. 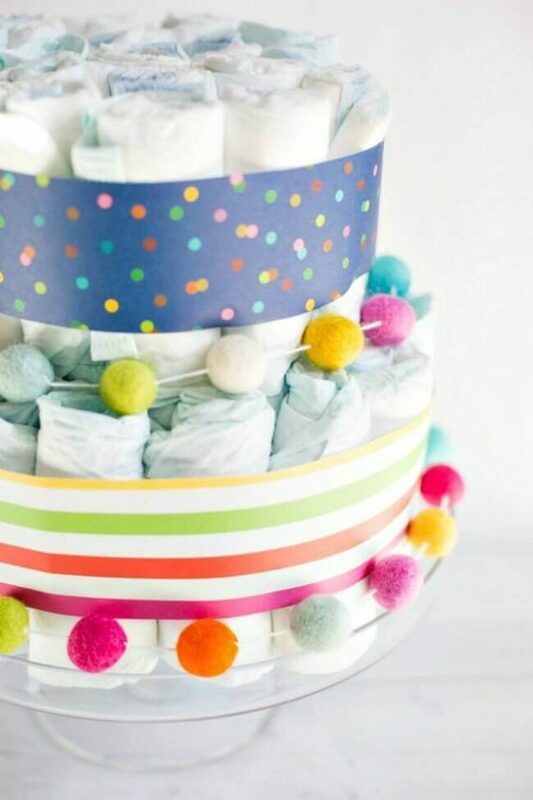 If you want your practical gift to look adorable, too, make a modern diaper cake. It’s easy and fun to create and it feels good to know mama-to-be will appreciate it. 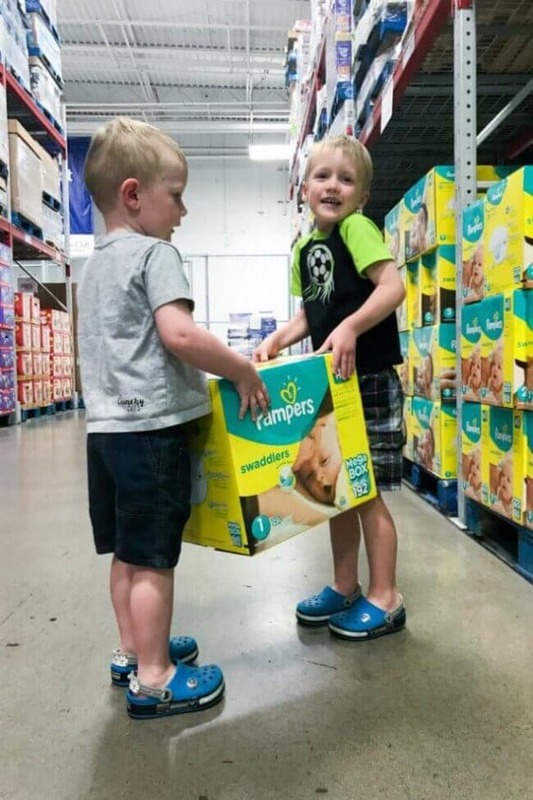 A shout out to Pampers at Sam’s Club for sponsoring this post! First-time moms, beware: make certain you have plenty of diapers on hand. Your little one will go through them faster than you think is possible. Just because you’re sleep deprived and busier than ever, you are not allowed to forget diapers because baby keeps doing his thing. I can tell you it is not fun to realize you already used your last one. 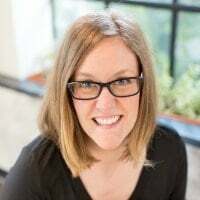 If your husband is at work he can’t make an emergency run and if you’re home alone and your car is at the repair shop—you’re in trouble. A saturated diaper lined with paper towels does not work. The nice neighbor with a baby of her own who is willing to share a few diapers suddenly looks better than any movie superhero! My post trauma advice is to amass a collection of plenty of diapers! 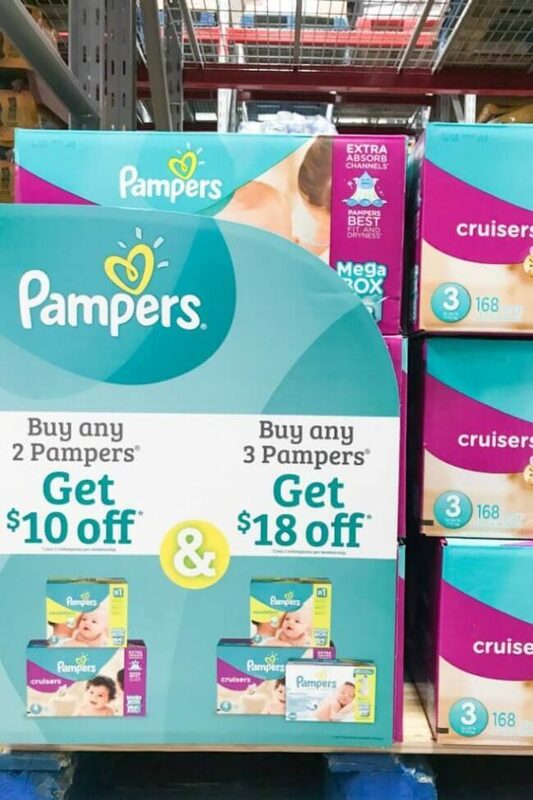 Now is a good time to stock up on Pampers because Sam’s Club has an offer of $10 off a purchase of two Pampers diapers or wipes or $18 off a purchase of three items (no coupon needed). What is even better is you can use Sam’s Club Scan & Go and Club Pickup service to bypass the register, making stocking up even easier and faster. You’ll save time and money plus you can accumulate enough diapers for rainy days and dry nights to give you peace of mind. 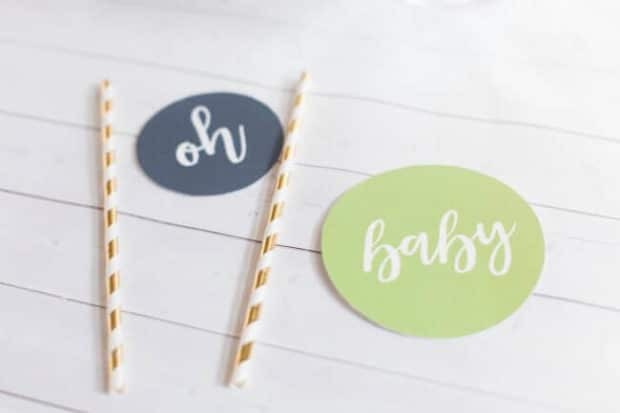 Even if you’re past the new baby stage at your house, you probably still remember all those darling newborn outfits you received at your baby shower. You might also recall there were several baby never got to wear because the right size and the right season didn’t line up. That’s not an issue when you give diapers as a gift. And if you make a diaper cake, your present is automatically gift wrapped! 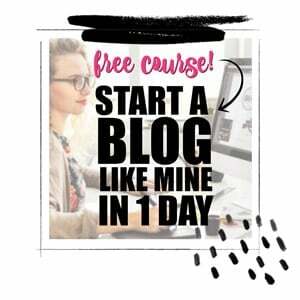 Here’s how to make one. Note: The paper towel holder is optional, but I found it did help keep the cake together while I was assembling it. It was extremely easy to remove and replace with diapers later. 1. Start by rolling the diapers. After trial and error, I found rolling from the top down made the smoothest diaper roll. 2. 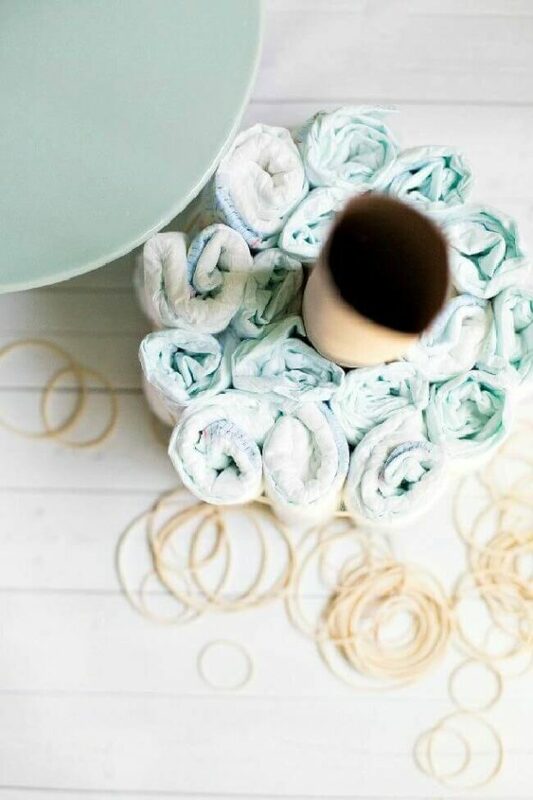 Stand the paper towel holder up on one end and rubber band one diaper to the base using one medium rubber band. Add more diapers around the base until you’ve made a complete circle. Add a large rubber band around the first layer and tuck diapers inside the large rubber band until you’ve completed the circle. 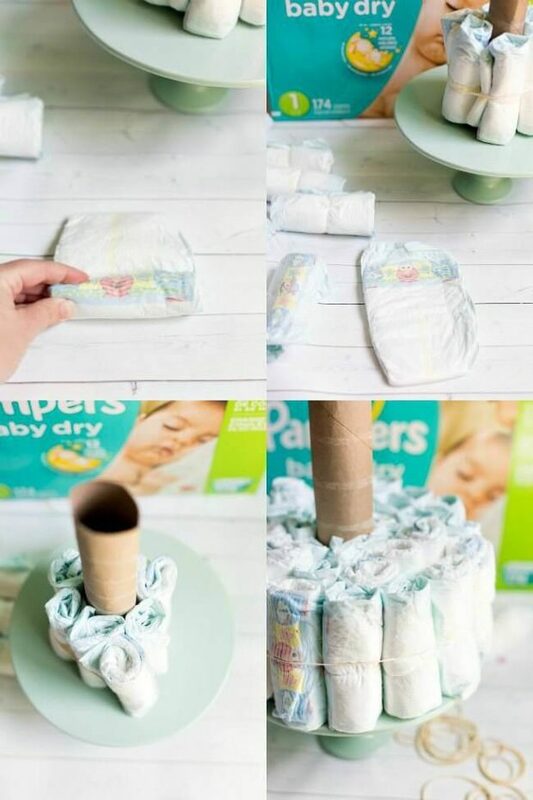 Add a large rubber band around the diapers and tuck a third layer of diapers into it. 3. Repeat with the top layer, but only making two layers of diapers. 4. Cut the scrapbook paper 2 1/4 inches wide. You’ll need two and a half strips for the bottom layer and two strips for the top layer. Tape/glue strips together and wrap them around each layer of the cake. 5. 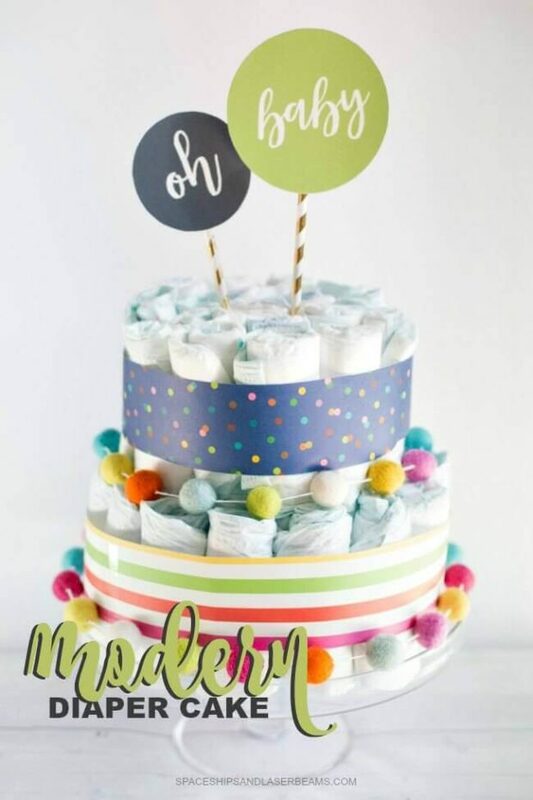 Place diaper cake on a cake stand and remove the paper towel holder, inserting diapers into its place. 6. Wrap the felt ball garland around the cake. Secure with clear tape. 7. 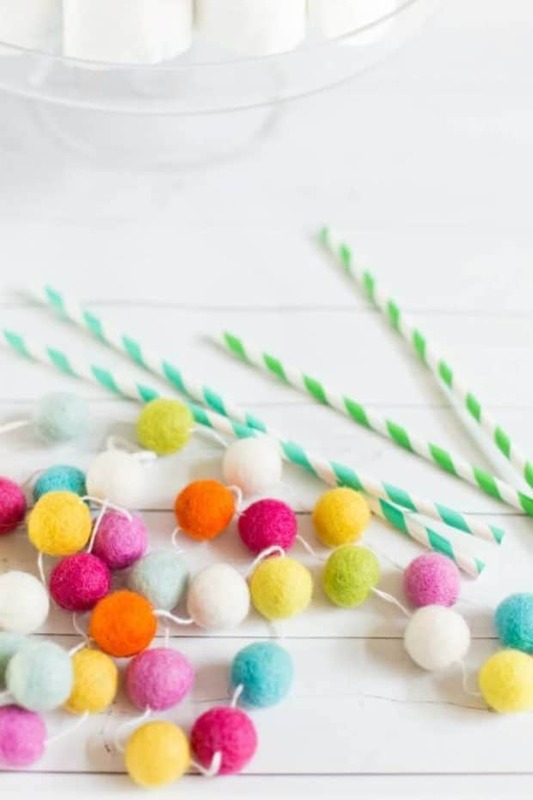 Cut out the printable and tape to paper straws. Insert straws into top of cake.